When it comes to foundations, I don't ask for much. What is important to me is how well it covers, the inclusion of an SPF of some sort, and not having it break me out. I love medium to full coverage foundations. Unfortunately, my skin is not a good contender for the light coverage of a tinted moisturizer. I have a lot of unevenness when it comes to my skin tone, acne scars, and blemishes that I would prefer be covered. Since my skin is acne prone, and on the more sensitive side, the foundation must not break me out or cause irritation. When I heard that MAC was releasing a new foundation, I was all over it. 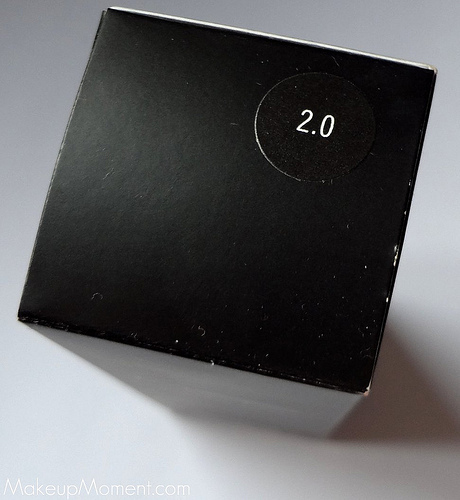 I have been pretty impressed with the MAC foundations that I have tried lately-Pro Longwear and Face And Body, so I was excited to put MAC's Matchmaster Foundation ($32.50), to the test. I really like to color match myself when it comes to foundation shades. 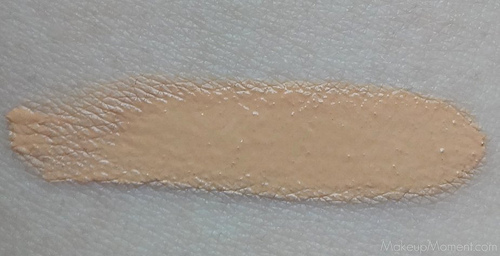 So, I looked up some Matchmaster foundation swatches online and based on my findings, I found that shade 2.0 would be the best match for my NC25 MAC skin tone. The first thing that I immediately noticed was the amount of product that was in the bottle. Based on my foundation encounters, I noticed that most foundations contain 1 OZ of product. But the Matchmaster foundation contains 1.2 OZ of product. It may not be much to some, but this is something that I appreciate very much. I feel like I am getting my money's worth by having a bit of extra product that will last me a bit longer. The foundation bottle is made of glass-I am so terrified of dropping this thing, you have no idea! A very worthy mention is that the bottle has a pump-so great and convenient. And lastly, it also contains an SPF of 15. When it comes to my preferred method of applying Matchmaster, I love using my MAC 188 small duo fibre brush ($34.00). Any stippling brush will do, but I just prefer the MAC 188 because since it is a little smaller, I feel like it gives me more concentrated coverage. Not to mention it blends in my foundation like a dream. As I mentioned before, I matched myself to the shade 2.0. I have yellow undertones in my skin and 2.0 seemed to be the shade that would best suit my yellow tones. When I first pumped out a bit of the foundation onto the back of my hand, I noticed that the foundation had some yellow coloring, but I also spied a hint of orange mixed in, as well. When I first saw the orange, I questioned if I chose the right shade? There was only one way to find out. I started stippling and blending the foundation onto my face-I find that using two pumps of the foundation gives me the coverage that I prefer. I also noticed that this foundation is super easy to blend. 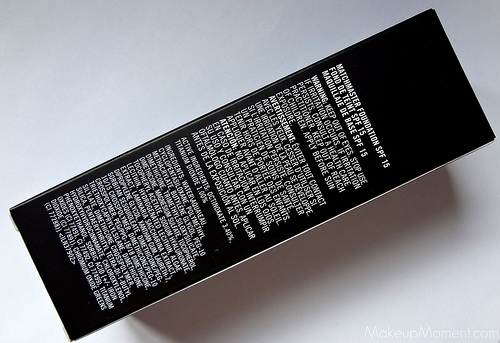 The formula is very creamy, but there is a little hint of thickness incorporated into the mix as well. With the pro longwear foundation, I had to work in sections because it would set so quick. But with matchmaster, I still have a little bit of extra time to blend it in before it completely sets. 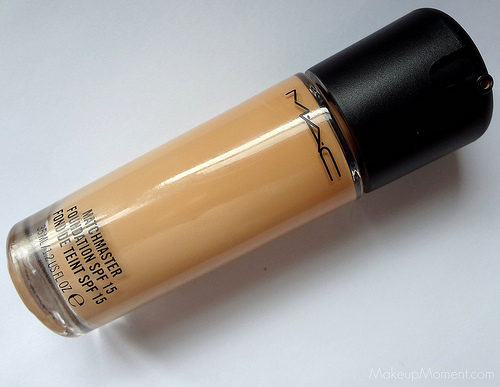 When I first applied this foundation, I was instantly introduced with a strong scent. It was quite familiar, actually. It smelled just like the MAC studio fix fluid foundation. I tried studio fix fluid a few years ago and even to this day, I don't forget the smell. But, I am not going to say this is a big deal-breaker for me because I don't consider myself as sensitive to scents as others may be. But, on the plus side, I find that the scent lessens as the day wears on. I actually don't really notice it much after awhile. OK, when it comes to the color-match...I found it pretty interesting. When I finished blending the foundation onto my skin, I noticed that the coloring was a tiny bit off. The foundation definitely appeared a little darker. You can imagine my disappointment right then and there. I thought I had picked the wrong shade for myself, and I was going to have to go back to the MAC store to see if shade 1.5-which is the next shade down, was actually the better match for my skin. But the most amazing thing happened. I let the foundation set for a bit, and between the 5-10 minutes after I had applied the foundation, I looked in the mirror again, and the match was perfect! My face did not seem darker anymore. I don't know how, but somehow the foundation just blended into my skin to match my skin tone. I just can't explain it. I was speechless. I guess the name "matchmaster" says it all-it works to match your skin tone. From this experience, I assume that one needs to let the foundation set for a few minutes, to ensure that it matches your own skin tone. According to the description of the matchmaster foundation on the MAC website, this foundation contains "translucent pigments that enable a fully personalized finish influenced by your own skin's undertone". Very cool! I was pretty impressed with the coverage. I found it to be medium-buildable. Matchmaster did diffuse my acne scars, nicely, but it did not completely cover them. A concealer might be needed for those who prefer a more fuller coverage on certain areas of the face. The finish looks a bit matte, but its not completely matte. It gives more of a satin finish. This foundation makes my skin look really nice. It gives a my skin, but better look. Since its winter here, my skin is a bit drier than usual. I make sure to moisturize my skin well to ensure that the foundation doesn't emphasize any dry areas. I am almost certain it would if I didn't moisturize, properly. While on, the foundation did not feel heavy on my skin, nor did it feel tacky. I just hate heavy-feeling foundations. I am happy to report that this foundation lasted all day on. The longest I have had this foundation on was for about 9-10 hours. I have an oily T-Zone area, and I find that I only have to blot those areas once throughout the day. Those areas got oily around the 3-4 hour mark. Also, I have experienced no breakouts as a result of using matchmaster, which is a huge plus. I love to try foundations, but I know that some may not react well with my skin. Luckily, my sensitive, acne-prone skin accepts matchmaster. 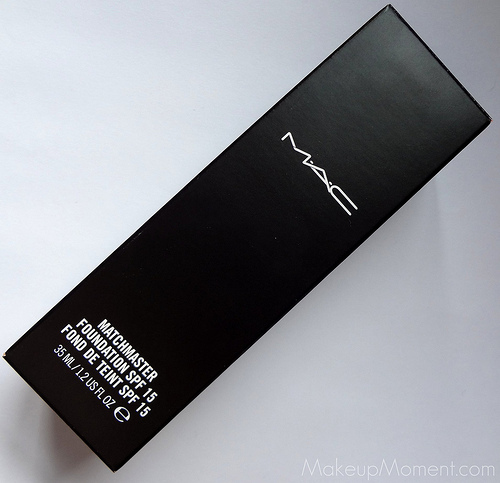 Overall, I really like MAC's Matchmaster foundation. I am really impressed with it and I think its going to be one of my staples for the new year. I am curious to see how this foundation will fare up come the warmer, summer weather? I guess I will find out in a few months! 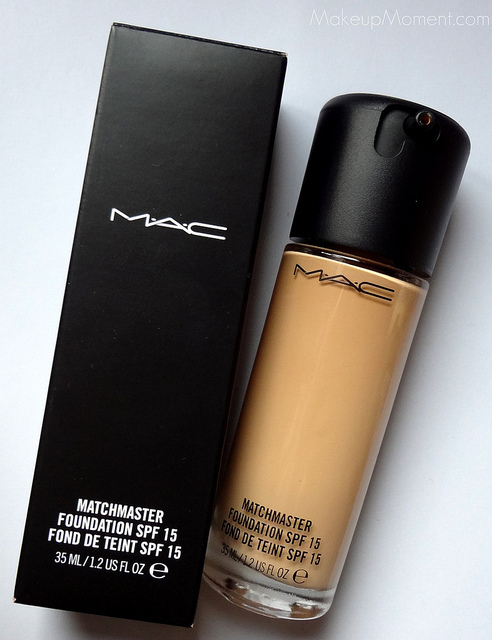 Have any of you tried MAC's Matchmaster foundation? What do you all think of it? great review! Very well written and covers every aspect of the product..I am definitely going to try it out thanks to your review..I have the same skin type as yours and am hoping it suits me too! Thank you! I am glad this review helped :) After you try Matchmaster, let me know how it works out for you!